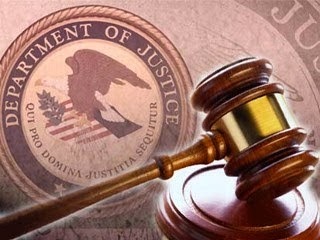 A former FBI special agent and a conspirator pleaded guilty in the District of Utah yesterday and today to participating in a bribery scheme to obstruct a grand jury investigation in exchange for the promise of cash and multimillion dollar business contracts offered by a businessman under investigation. Assistant Attorney General Leslie R. Caldwell of the Justice Department’s Criminal Division, Acting U.S. Attorney Carlie Christensen of the District of Utah and Justice Department Inspector General Michael E. Horowitz made the announcement after the guilty pleas were accepted by U.S. District Judge Tena Campbell. A 24-year veteran of the FBI, Robert Lustyik Jr., 51, of Sleepy Hollow, New York, pleaded guilty on Sept. 30, 2014, to an 11-count indictment charging him with conspiracy, eight counts of honest services wire fraud, obstruction of a grand jury proceeding, and obstruction of an agency proceeding. A childhood friend of Lustyik, Johannes Thaler, 50, of New Fairfield, Connecticut, pleaded guilty today to conspiracy to commit bribery, obstruction of a grand jury proceeding and obstruction of an agency proceeding. Sentencing is scheduled for Jan. 5, 2015. In court documents and at the plea hearings, Lustyik and Thaler admitted that from October 2011 to September 2012, Lustyik, while employed as an FBI counterintelligence special agent, and Thaler conspired to use Lustyik’s official position to obstruct a criminal investigation into Michael Taylor, a businessman who owned and operated American International Security Corporation and was under investigation for paying kickbacks to obtain a series of contracts from the Department of Defense worth approximately $54 million. Court documents state that Lustyik attempted to obstruct the investigation into Taylor by opening Taylor as an official FBI source in an effort to persuade the FBI, the Justice Department and the prosecutors and law enforcement agents investigating Taylor that Taylor’s usefulness as a source outweighed the government’s interest in prosecuting him. Lustyik also advocated on Taylor’s behalf directly to the prosecutors and law enforcement agents, urging them to use Taylor as a cooperating witness and emphasizing that indicting Taylor would threaten the nation’s security. Taylor pleaded guilty in the District of Utah to honest services wire fraud for his role in the scheme on Nov. 27, 2013. He is scheduled for sentencing on Jan. 5, 2015. The investigation was conducted by Assistant Special Agent in Charge Tom Hopkins of the U.S. Department of Justice Office of Inspector General. The case is being prosecuted by Deputy Chief Peter Koski and Trial Attorney Maria Lerner of the Criminal Division’s Public Integrity Section, and Trial Attorney Ann Marie Blaylock of the Criminal Division’s Asset Forfeiture and Money Laundering Section. Scott Ferber of the Counterespionage Section of the National Security Division also assisted in the prosecution.